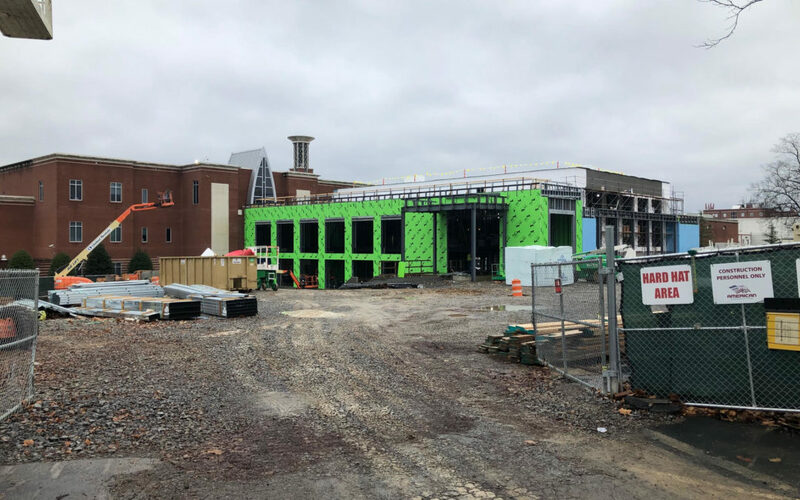 The roof for the George Shinn Event Center has just been completed; meanwhile, Lipscomb is expected to start construction on the new 300-space parking garage this spring. Here are the latest updates on both structures. In December, many Lipscomb faculty members gathered at a topping out ceremony to celebrate the final beam being placed on the structure; they now have other construction updates to celebrate as well. In a statement to Lumination Network, University spokesperson Kim Chaudoin gave a new update on the event center. The building is a product of the $15 million donation to Lipscomb made by former NBA owner George Shinn. When plans for the event center were originally revealed at the 2017 Imagine event, Lipscomb announced the building would be fully completed by the fall of 2018. However, workers had to redirect a storm drain, leading a postponement in construction. The center will have an event hall that will be able to sit up to 1,000 people. The hall will be used in a variety of ways, such as music concerts, theatrical events, art exhibits, receptions and even class lectures. The center will also include several spaces to be used by the College of Entertainment and the Arts: classrooms, studio space and a cinematic editing and viewing studio. It will also be home to a film production studio and a CG animation studio. The George Shinn Event Center is now expected to be fully completed by August 2019. 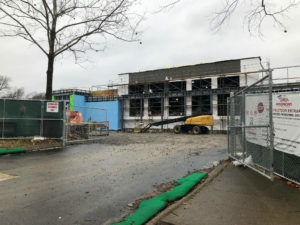 The parking structure that will add 300 more parking spaces on campus is expected to break ground sometime this spring. Currently, Lipscomb only has two garages: one by High Rise and one by the baseball field. However, since before construction began on the George Shinn Event Center, the parking garage by the baseball field has been for faculty, staff and guests only on most days. The parking garage by High Rise has spaces that are often reserved for events inside Allen Arena. It remains unknown how many spaces, if any, will be reserved in the new parking garage. The new building will be the first garage on the north side of campus; it will be directly behind the engineering building. The project is expected to be fully completed by January 2020.